Wanted, Charlie Cole on the left of the photo. 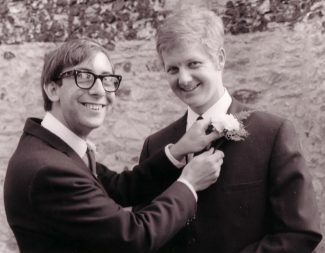 He was my best man in 1967, does anyone know his location or contact address I have not seen him for years. Nice to hear of people still going strong. Tommy and Charlie Cole and Fred(dy) Morgan. Don’t know where Charlie Cole is but Hank B Marvin lives quite near!!! at least I tried. There are 30 or more C. Cole’s in Suffolk. Perhaps we are not ment to meet again.